Master critical applications with high-performance EqualLogic™ PS6110XV 10GbE Internet SCSI (iSCSI) arrays, ideal for enterprise and corporate distributed sites. Enterprise storage built for performance. Master critical applications with high-performance EqualLogic PS6110XV 10GbE iSCSI arrays, ideal for enterprise and corporate distributed sites. Quickly process your data-hungry tasks using EqualLogic PS6110XV high-performance 10GbE iSCSI arrays with easy, flexible management for highly consolidated enterprise environments. Experience outstanding storage performance with the PS6110XV 10GbE iSCSI array, a Dell virtualized scale-out architecture designed for high-speed, high-capacity storage that is easy to manage and scale for future needs. Leverage your existing infrastructure with 10GbE SFP+ or build out your network with new, cost-effective 10GBASE-T (both supported). Help eliminate downtime and performance penalties with smooth, incremental SAN expansion. Grow your virtual storage alongside your virtual server growth. Add or remove arrays at will, according to policy, age, application or business needs. Easily mix new disk or network technologies in the SAN. Move volumes (databases/VMs) online between any pool or disk resources. Avoid forklift upgrades or data-in-place migrations that cost time and money. Automatically balance loads across disks and multiple arrays in a pool. Help eliminate manual re-distributing of capacity or application workloads (downtime and services costs). 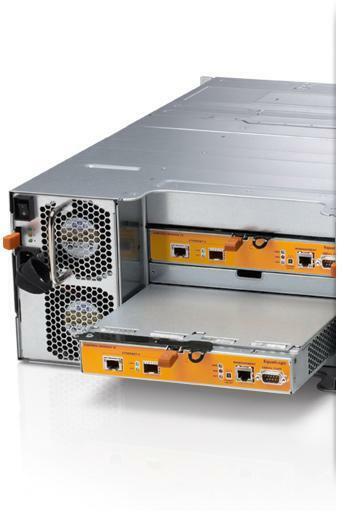 Build high-performance storage for critical applications using PS6110XV arrays. With high-speed 2.5" SAS HDDs and up to 7.2TB* of capacity, the PS6110XV 10GbE iSCSI array is the highest performing HDD array in the PS6110 series.